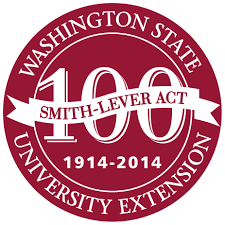 The Smith-Lever Act research papers examine the federal law designed to provide cooperative agricultural extension services that connected land-grant universities to the general public. Research papers on the Smith Lever Act explain the elements of the act and why it was important back in 1914. Land grant colleges had been established under the Morrill Act of 1862. With the Smith-Lever Act, introduced by Senator Hoke Smith of Georgia and Representative A.F. Lever of South Carolina, the federal government was expanding vocational, agricultural, and home demonstration programs across rural America. The Act specifically stated as a goal the spreading of practical information by setting up a partnership between federal, state and county levels of government. Funding went from the U.S. federal government, to the Department of Agriculture, and then to the land-grant universities, where it was to be matched by funds from the states and counties where the programs were implemented. Smith-Lever was a systematic process to fund ongoing extension education through the land-grant universities. Professional educators were sent out into local, rural communities in order to improve the lives of the people. The Smith-Lever Act has been amended twice, but is still in effect after a century. America, A Narrative History Research Papers discuss a sample of an order placed that needs a specific text to be used to complete the project. Ecological Model - For example, one may want to look at how land use and agriculture can produce sustainability. The Family Farm Research Papers examine how the farming industry has changed over the years, and how the work was divided between the family members. Economic Development Strategy research papers discuss the past and present in rural economy, looking at agricultural aspects and also tourism. Tea Act - The government introduced the Intolerable Acts of 1774, and this eliminated self- government in Massachusetts. Stamp Act - Stamp Act research papers examine the British Government's tax requiring all printed material in the colonies to be produced on specific paper. Marine Mammal Protection Act - Marine Mammal Protection Act research papers show how the act preceded the Dolphin-Safe Tuna Labeling Act. Higher Education Act of 1965 - As part of his “Great Society” programs, President Lyndon B. Johnson through his programs, passed the Higher Education Act of 1965, dealing with a variety of aspects of undergraduate education for students. Dawes Act - Dawes Act research papers discuss the Act that authorized the President of the United States to survey and divide Native American lands for individuals. Order a research paper on the Dawes Act from Paper Masters. The Metropolitan Police Act, 1829 - By 1929, it was apparent that the problem of crime in London warranted some action by the government. Compulsory Education Act - Compulsory Education Act Research Papers examine public education in America and how it came to be after education for all was recognized as crucial for the citizens of society. American Disabilities Act - American Disabilities Act research papers look at the law passed by George Bush that protects the civil rights of disabled Americans. Equal Educational Opportunity Act - The Equal Educational Opportunity Act is a United States federal law that was passed in 1974. The Older Americans Act of 1965 - The Older Americans Act of 1965 Research Papers look at a policy regarding care and support for the elderly. Paper Masters writes custom research papers on The Smith-Lever Act and examine the federal law designed to provide cooperative agricultural extension services that connected land-grant universities to the general public.